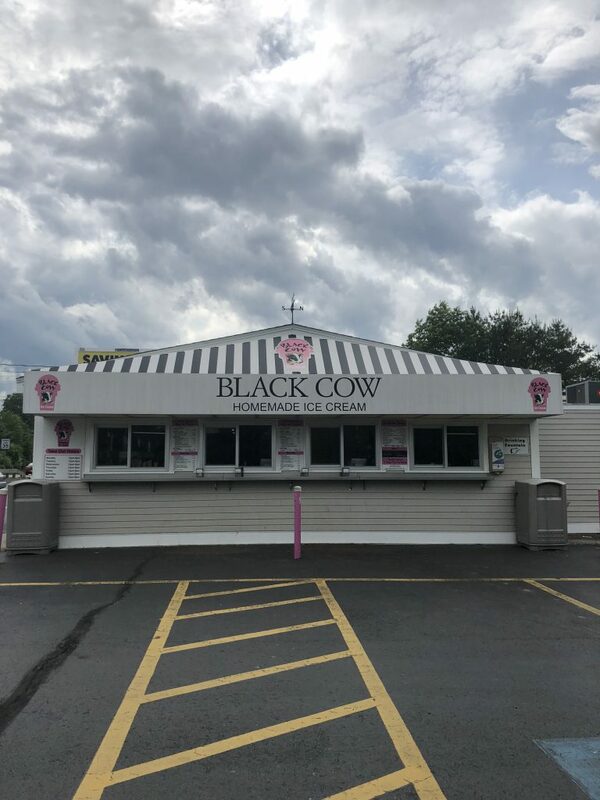 The Black Cow is an ice cream parlor located on Route 109, in Millis, MA. We have both indoor and outdoor eating areas. We specialize in making delicious homemade Ice Cream & Fudge. Our menu reflects both customer suggestions and interesting flavors that we have came across in our travels. We use all the freshest ingredients, ripest fruits and real extracts. We have won numerous awards including “Best Ice Cream in the Region” and have been featured on Phantom Gourmet as a hidden jewel. All of our ice cream and fudge are made on premises. Our ice cream is made with fresh Vermont creams. We only use the finest confections in both our fudge and ice cream. All our ice cream and fudge are made in small batches and all ingredients are added by hand to guarantee the freshest product. Ice cream is made from cream, and is air whipped in a freezing process. Why is our ice cream creamier than theirs? Commercial ice cream is traditionally made of up to 70% air and 30% cream. At the black cow our Ice cream is 30% air and 70% cream. The secret is out. Taste the difference. 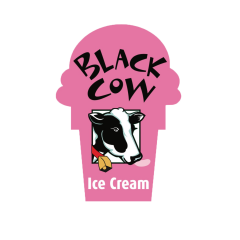 Black Cow ice cream is a super premium with 16% butterfat product. It has a real nice texture and the ice cream is more dense but it is still very creamy, staying on your palate longer because it doesn’t melt as fast. We only use the freshest ingredients and highest quality extracts shipped to us from around the country. All of our recipes were created by Wally Walsh and every batch follows a strict formula. Our ice cream is made with our Emory Thompson batch freezer built for us in Bronx, NY. 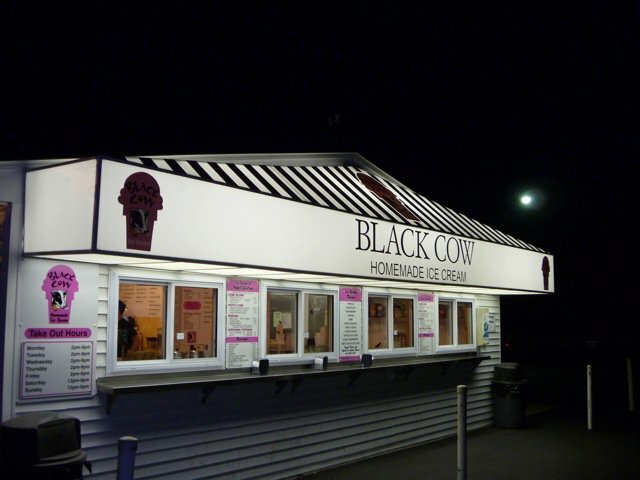 The Black Cow has over 200 flavors in rotation which change frequently. Check out our Flavors and Toppings page to see the current specials.